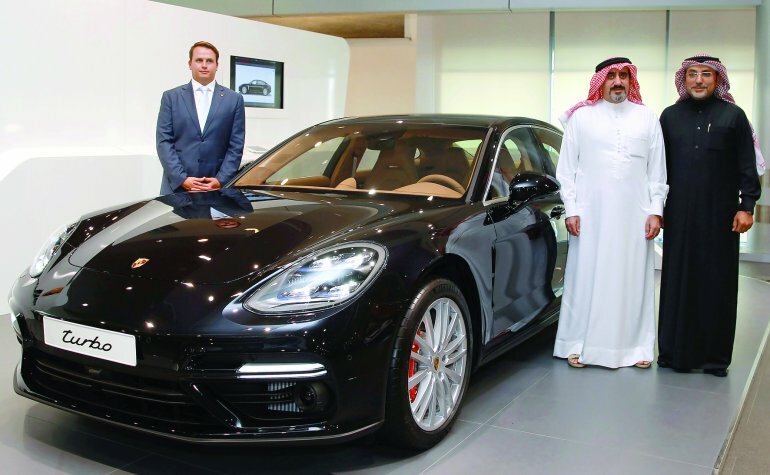 The newest range of Porsche Panamera was launched at the Porsche Center Doha. The newest generation of the loved Porsche Panamera was unveiled at Porsche Center Doha showroom over the weekend, The Peninsula reported. The Panamera, both a sports car and luxury saloon, has become a very loved and popular car in the GCC and around the world since it was first introduced in 2010. It was introduced by Al Boraq Automobiles, who unveiled the two newest models, Panamera 4S and Panamera Turbo, both all-wheel drive, that come with even better performance and higher luxury than their predecessors. The brilliant engineers at the German car manufacturer have redeveloped the car down to the smallest detail. The newer models have had modifications to their engines, transmission, chassis and even design. Each model comes with a new twin-turbo engine, which has been combined with Porsche’s first 8-speed transmission, the Porsche Doppelkupplung (PDK). With the PDK, the seventh and eighth gears are engine speed-reducing overdrive gears, while the car reaches top speed back in sixth gear. The newer models have even had some more visible alterations to their bodies. The four-door sports-saloon have had their front-end design changed, and now come with a crossbar in the radiator grille. Both new models, the Panamera 4S and the Panamera Turbo are now available at Porsche Center Doha, with the former starting at the price of QAR 481,000 and the latter starting at QAR 676,100.